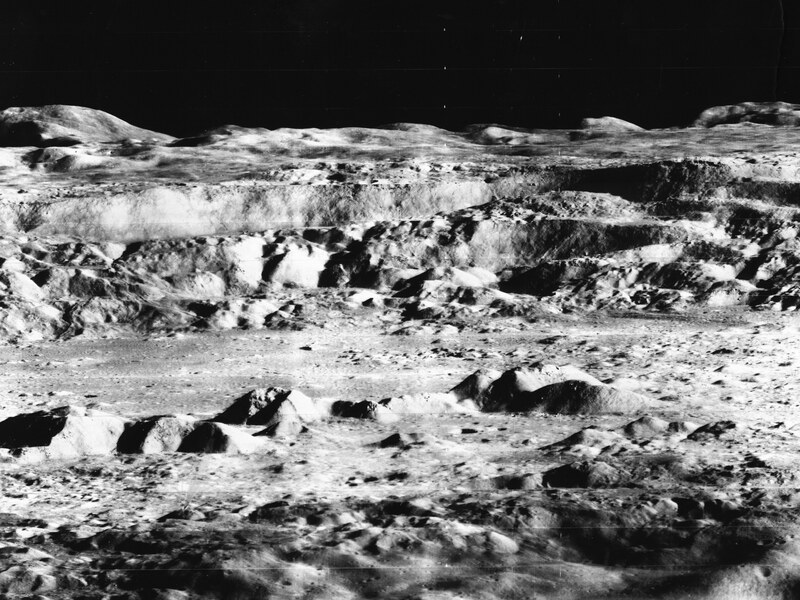 The lunar surface, photographed in 1966. Since the second world war, our politics has become increasingly distant from people. Voter participation has declined, distrust in politicians has grown, and corruption perceptions have increased in many jurisdictions. Inequality has accelerated as those with the highest wealth and income acquire ever greater resources – far more than they can reasonably consume – while those at the other end of the economic spectrum see their lot diminish. The relationships between commerce and politics have deepened as free market policies have governed national policy in western liberal democracies across the range of services, from social welfare and healthcare to infrastructure and defence. These institutions, invested with authority and legitimacy by democratic processes, appear foreign to the people they claim to serve; their values – of costs, efficiencies, and performance – seem distant from their clients. These institutions often instil fear, driven as they are by objectives of enforcement, compliance, and law. At the same time, advancements in human capacity through technology and innovation have never been so profound. Life extending medicines are invented regularly, it seems; transport and communications technologies bring us all closer together; transformational energy technologies from nuclear to renewables are spreading electricity to the whole world; robotics technologies are making redundant dangerous power-labour jobs. Yet we seem powerless to address the existential perils of climate change. Our advances in energy have bled into an era of nuclear proliferation, and weapons of mass destruction in the hands of unstable regimes. The pharmaceutical business charges essentially extortionate prices for life saving medicines, while over-prescription problems lead to debilitating addictions in lower class communities. The wonders of the internet have turned into a honey trap, ensnaring the world into a voluntary mass-surveillance and control program. Loneliness haunts our ageing populations. beˈwildered, adj. Lost in pathless places, at a loss for one’s way; fig. confused mentally. We are bewildered. We look at each other, and ask ourselves ‘how did this happen?’ When we have so much capability, we have so many common interests, seemingly so much solidarity, unity, and patriotism at times, and yet incredible dysfunction, failure and inequity. It’s not enough to say there’s a few bad people, or there’s bad leadership, or to blame greed as being a double-edged neoliberal sword: there’s an invisible layer of impediments to benevolent action. Good people – seemingly powerful people – seem unable to fix these problems, and in many cases end up making them worse. We have a system that seems to protect us from bad stuff, that seems well designed, that embodies constitutional protections, and even if those are breached now and again, they should hold up – and yet they fail. Our designs, our carefully and methodically developed designs, have not worked. The Enlightenment, it appears, was wrong. Reactions against our current orthodoxy over the past half a century ranged from the civil rights and anti-war movements of the mind twentieth century, to the anarchists and socialists and communists (with a small ‘c’) through the seventies and eighties, right up to the Occupy movement after the financial crash of 2008. Fringe groups in green parties and socialist groups tried to encourage alternative thinking. The problem seems to have been that the alternatives seemed undifferentiated; that these alternatives were really the same thing. The political choices became increasingly about which personality would execute national strategies, rather than which of a range of opposing ideas would succeed. In many cases, winning parties adopted selected policies of defeated parties. There may be answers in fundamental philosophy, in areas such as ecology, feminism, and new developing disciplines like object oriented ontology. Western liberal thought is predicated on an anthropocentric, patriarchal, biological, and observational scientific method that recent science tells us may not be as accurate as we thought. String theory and quantum mechanics, Heisenberg’s uncertainty principle, and our new understanding of unseen things suggests that our founding principles (an Aristotelian reliance on human perception) may simply be wrong. Even Hayek’s neoliberalism suggested that there were natural forces at work that we simply needed to back away from – a spontaneous order that delivered to us our society. The religious and intellectual placing of the human subject at the centre of thought may perhaps have been an act of hubris. This modern condition of bewilderment – a postmodernist dislocation (see Close Encounters of the Third Kind, Northern Exposure, The Leftovers, and Jeff Vandermeer’s Southern Reach Trilogy) – may not have an answer, but it may have a kind of explanation. Other social scientists have reckoned with similar subjects – alienation, disenchantment, discontent, anomie – which all appear to underline a failure of realism, a tendency to rely upon an invented mythology, a constructed identity, or imagined community. This is our truth, my truth, not the truth, an acknowledgement that there is no abstract or objective truth, only a relative, subjective interpretation of the world. Given that condition, and the absence of an objective attainable truth, the world as concept becomes entirely malleable, devoid of rules. And that is a bewildering place to be, a pathless place.